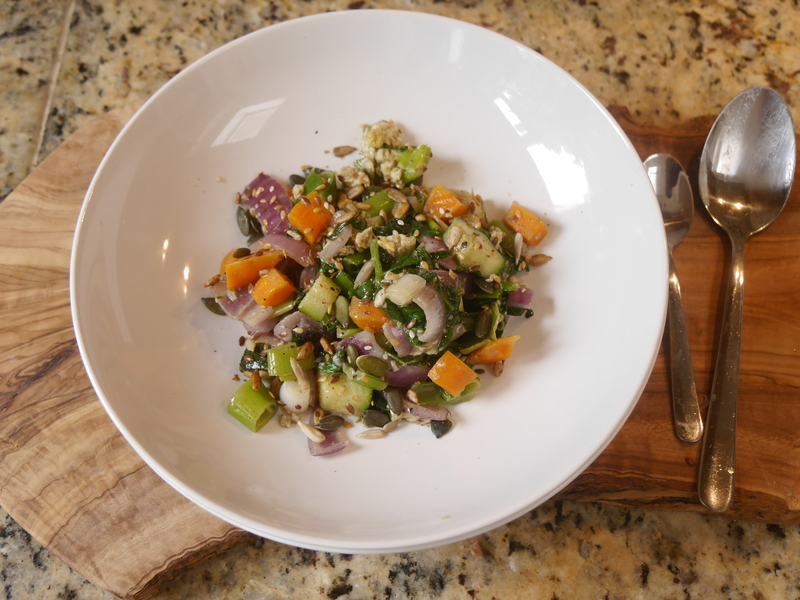 This vegetable coconut medley flavoured lunch is great, easy to make and really quick to cobble together. You can actually add any ingredients you want to it. The seasoning has a flavour of coconut, and season with salt and pepper to your liking. 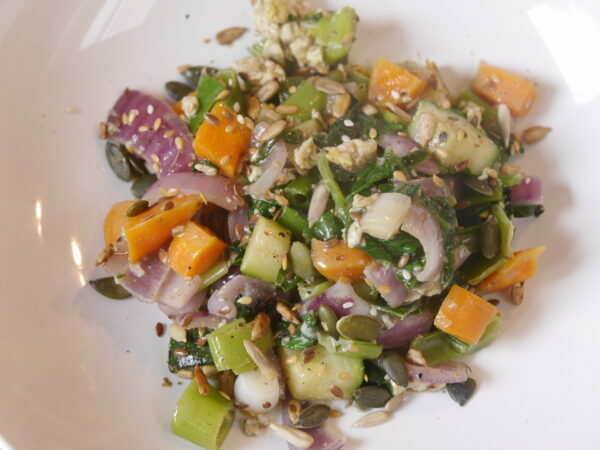 I have added some sesame seeds, pumpkin and sunflower seeds to garnish. Add coconut oil to the pan until melted. 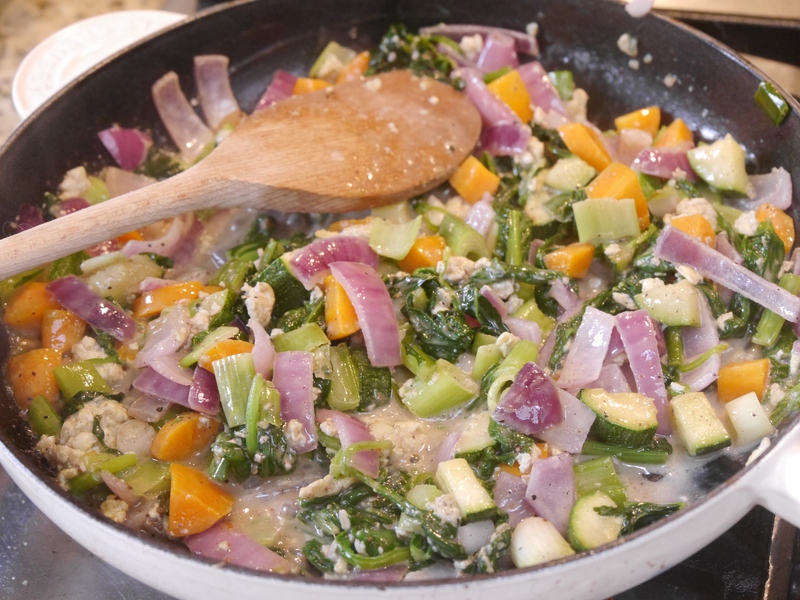 Add the following vegetables (onions, carrots, courgettes, spring onions) Fry for about 3-4 minutes, until soft. 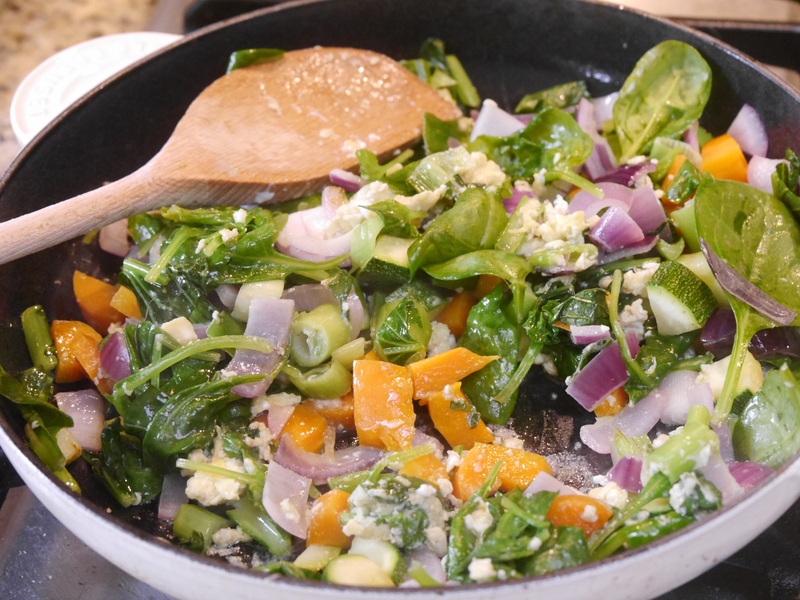 Spoon the veg to the side of the pan and crack the egg into one half of the pan. Wait for the egg to cook and then scramble the egg with a wooden spoon. When cooked mix the egg to the rest of the vegetables. Add the coconut milk and the seasoning and cook for a further minute. Add the spinach and basil leaves, and you can either serve straight away or wait for the spinach to wilt and then serve. Season with salt and pepper to your liking.